The award ceremony will be held the evening of September 20 at Project One Gallery in San Francisco. The founding developer of WordPress, Matt Mullenweg, will be the keynote speaker. Andrew (bunnie) Huang is an activist who takes a push-and-pull approach to open hardware: he contributes original open designs and also liberates closed designs. Huang’s book on reverse engineering, “Hacking the Xbox,” is a widely respected tool for hardware hackers. Huang has also released an open implementation of a man-in-the-middle attack on HDCP – enabling overlays on encrypted video without circumventing access controls. As part of his long-term advocacy for users’ rights, Huang worked with EFF to help encourage more than 25,000 people to ask the Copyright Office for the right to install the software of their choice on their smartphones, tablets, and video game consoles. Huang serves as a Research Affiliate for the MIT Media Lab and a technical advisor for several hardware startups and MAKE magazine, and he shares his experiences manufacturing hardware in China through his blog. Jérémie Zimmermann is the co-founder of La Quadrature du Net, an influential French advocacy group defending the rights and freedoms of citizens on the Internet. Zimmermann has been instrumental in the fight against the Anti-Counterfeiting Trade Agreement (ACTA), a far-reaching international treaty that would curtail many Internet freedoms in favor of extremist intellectual property protectionism. Zimmermann has worked tirelessly to spread the word about ACTA and the ways in which it would put a chokehold on Internet and digital rights. 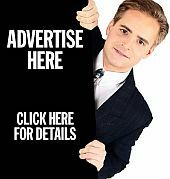 This July, after years of secretive negotiations, ACTA was defeated in the European Parliament. Zimmermann has also worked on numerous other technology policy topics, including freedom of expression, copyright, regulation of telecommunications, and online privacy. The Tor Project is a group of software developers and other advocates who maintain Tor, free software that helps Internet users circumvent Internet censorship and protect their anonymity. Tor enables activists, journalists, and others to keep websites from tracking them and to connect to uncensored news sites and services. Tor’s hidden services let users publish web sites and do other online work without needing to reveal their locations. 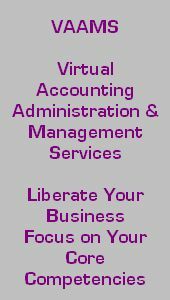 Tor also enables software developers to create new communication tools with built-in privacy features. Ongoing global trends in law, policy, and technology threaten anonymity as never before and undermine our ability to speak and read freely online, but the groundbreaking work from the Tor Project helps users everywhere improve the safety of their online communications. 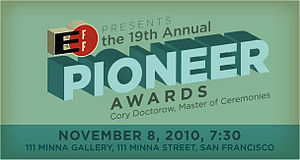 Tickets to the Pioneer Awards are $75 and can be purchased online at https://www.eff.org/awards/pioneer. Also available are tickets to a special VIP event featuring the Pioneer Award winners and keynoter Matt Mullenweg. In addition to being founding developer of WordPress – the open source blogging software that runs millions of sites around the world – Mullenweg also started Automattic, Akismet, Gravatar, bbPress, IntenseDebate, and BuddyPress. Awarded every year since 1992, EFF’s Pioneer Awards recognize leaders who are extending freedom and innovation on the electronic frontier. Previous honorees include Tim Berners-Lee, Senator Ron Wyden, Limor “Ladyada” Fried, Linus Torvalds, and Tunisian blogging collective Nawaat, among many others. Sponsors of this year’s Pioneer Awards include JibJab, JunkEmailFilter.com, and Orrick, Herrington & Sutcliffe LLP.